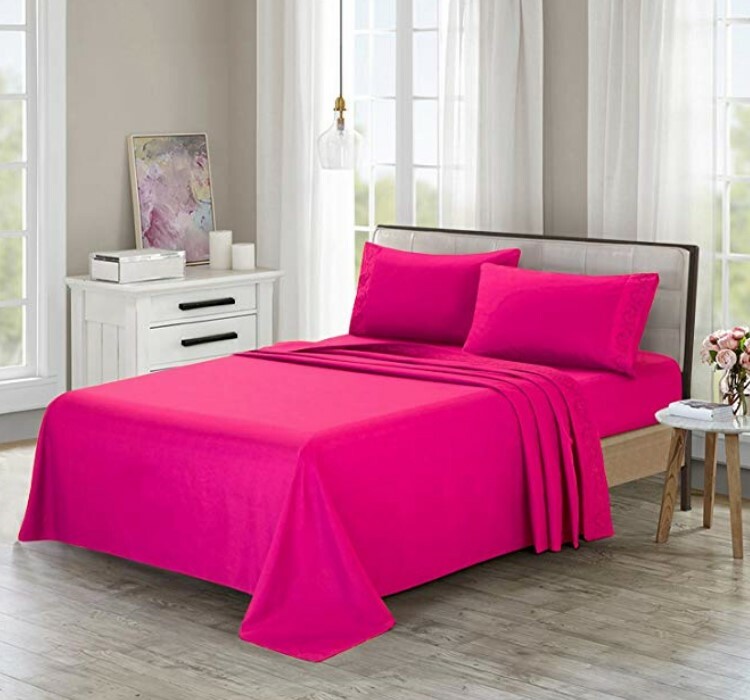 Brushed Microfiber Bedsheet Sets are now available at Amazon.com for just $10.50 (REG $20.99) (As of 22 March 2019, 19:45 PST –Details) with an amazing 50% Discount with promo code 50VPRBNE and Free shipping to your doorsteps most probably. , through 3/27 while supplies last. Made of the microfiber and workmanship. Solid colour style, SIMPLE but ELEGANT. Full-Size Luxury 4pc Bed Sheet Set. 50% Discount with promo code 50VPRBNE for a limited time.